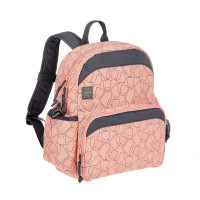 Product information "Medium Backpack Kids, Adventure Tipi"
description & equipment The ideal companion for big and little adventures: The Children’s Medium Backpack from LÄSSIG’s Children's Adventure Collection is versatile and functional. 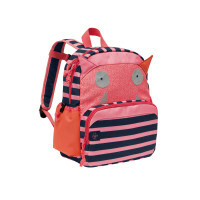 The special design feature includes three fabric stickers for children to create their own design on the backpack. 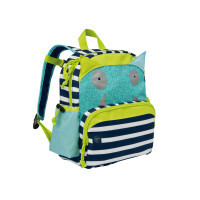 “Pimp your bag' encourages children to have fun creating designs. The fabric stickers can be used several times by taking them off and putting them in a different spot. 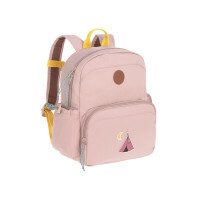 The trendy Adventure design in the two versions – dusky pink with a tipi and in blue with a bus – combines warm earthy shades and yellow color accents, on both straps and handles. The durable, water-repellent outer material makes it perfectly suitable for all kinds of weather. 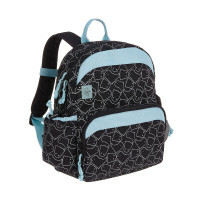 The wide, padded shoulder straps are adjustable and can be individually adjusted to the size of the child. This makes it comfortable to wear. A chest strap provides additional stability. The insulated compartment in the front is ideal for food, while the side pocket with a draw cord provides space for a drinking bottle. On the inside there is an integrated pocket for small change and a snap hook. Mix-ups are prevented by having a small, clear name badge sleeve. 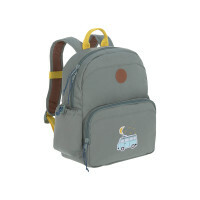 The Children’s Backpack is available in LÄSSIG’s other colors and designs in their Children’s collections.